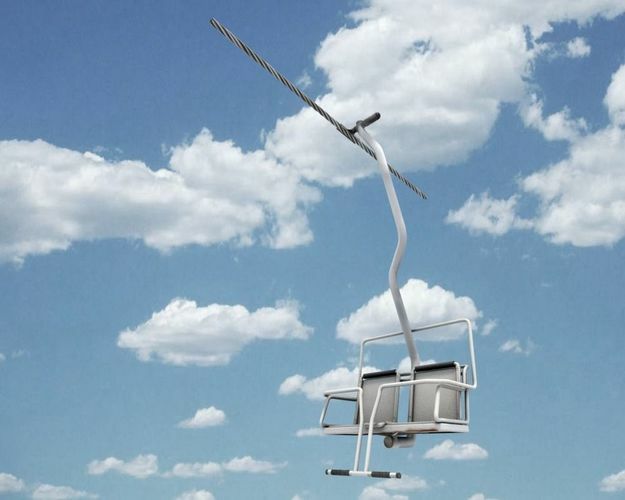 Chairlift, skilift, cable car, passenger ropeway car, or aerial lift car is the type of chairlift that's pretty much in use at most ski areas as primary onhill transport. Also reffered to as vernacular. This kind of two-person double chair has for many years been the workhorse of the ski industry. This specific type fuctions at rope speeds of up to 2.5 m/s (8.2 ft/s). The size of the model is real world. The construction is due to real-world references. All parts are designed so as to provide models interaction with the character. The previous animation of this model included of two characters taking a sit onto seats and starting moving with slight swinging forward. The geometry is mid-poly size, no unnecessary polygones, all key polygon flows are there where they need to be. PBR texturing was done for models surfaces, tubes and steel cable. All maps included.